If you’re heading to the Newquay beaches then you’ll be in search of sun, surf and some of North Cornwall’s fantastic coastline. This part of England is home to some of the best beaches in Britain – stunning scenery, traditional bucket-and-spade sandy stretches and those all important surfing spots. I’ve been going to Cornwall for years. 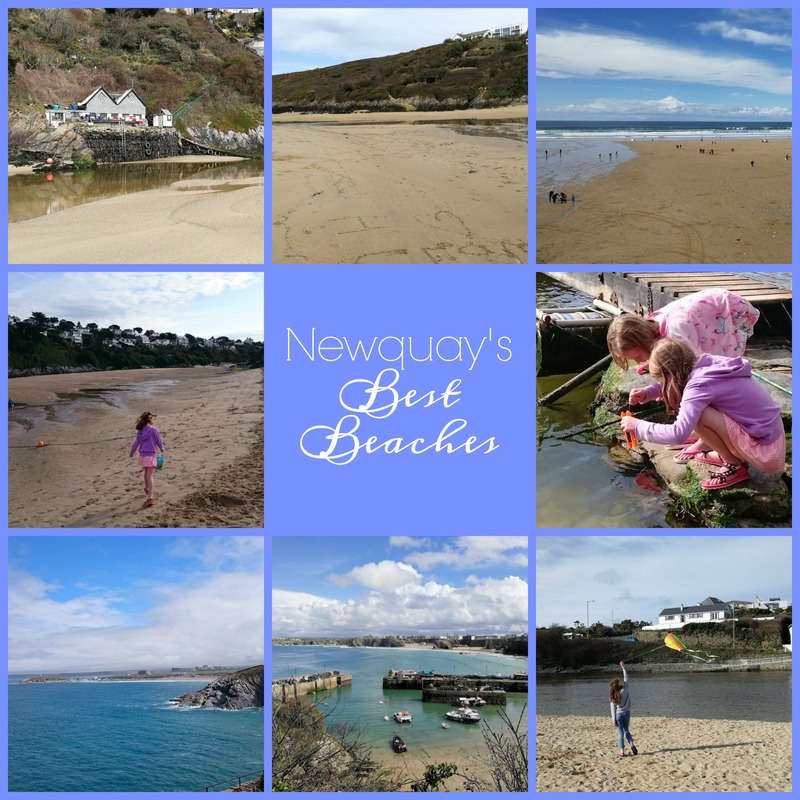 I’m sharing some of my all time favourite Newquay beaches and those just beyond, at Watergate Bay, Crantock, Lusty Glaze, Mawgan Porth, Bedruthan Steps and Padstow. 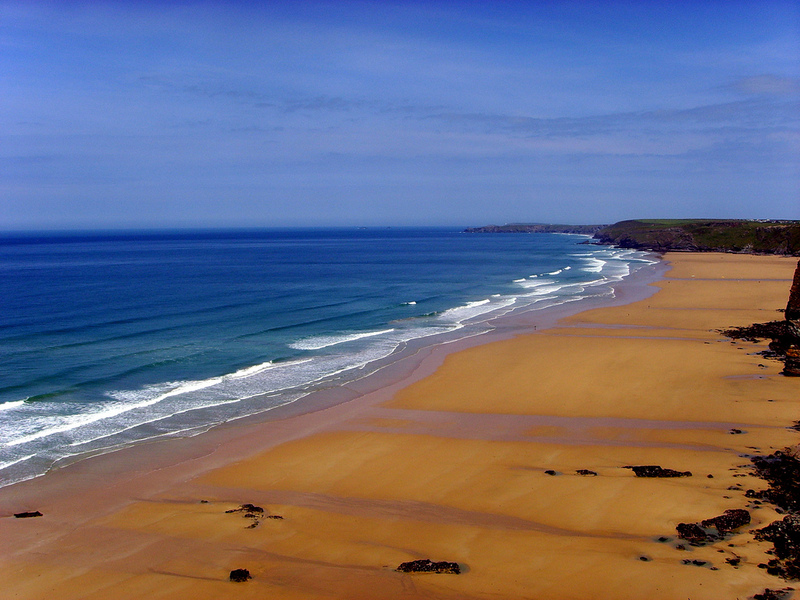 These North Cornwall beaches are some of the best in Britain and always a pleasure to visit. This is my favourite of the Newquay beaches. We’ve been holidaying in the gorgeous little village of Crantock for years. Thatched cottages, a village green, tea shop, traditional Cornish pubs with folk music and even milk churns and bunting at the centre of the village make this a quintessential part of a Cornish summer for me. The beach is managed by the National Trust, it’s huge and simply stunning. Whether for a winter walk with the dog or a day’s family fun in the summer, Crantock is perfect. 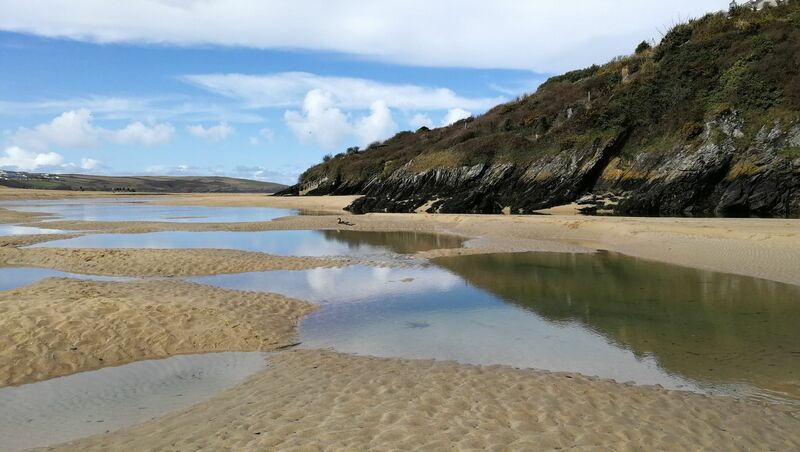 The Gannel river runs down the beach to the sea and when the tide goes out it leaves pools behind, perfect for kids to play in. Across the Gannel is a small wooden shop selling beach supplies and fresh lobsters kept in stone tanks. The lobsters are cooked and served at the Fern Pit Cafe up some steep steps from the beach. They will also, with a little bit of notice, boil you up a lobster to take away. 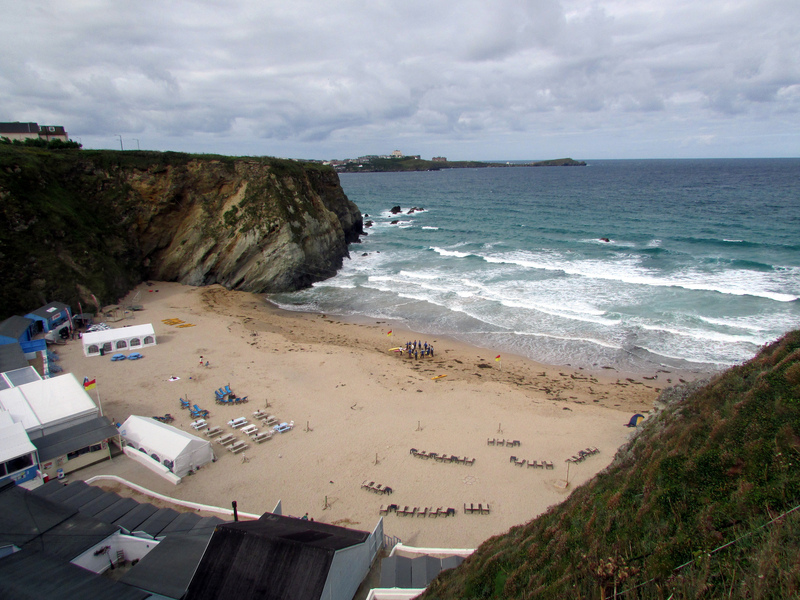 The cafe has amazing views across the beach and is accessible by car from Newquay, as well as from Crantock beach. In summer, a small boat goes back and forth across the Gannel when the tide is in and a wooden bridge is laid down when the tide is out. 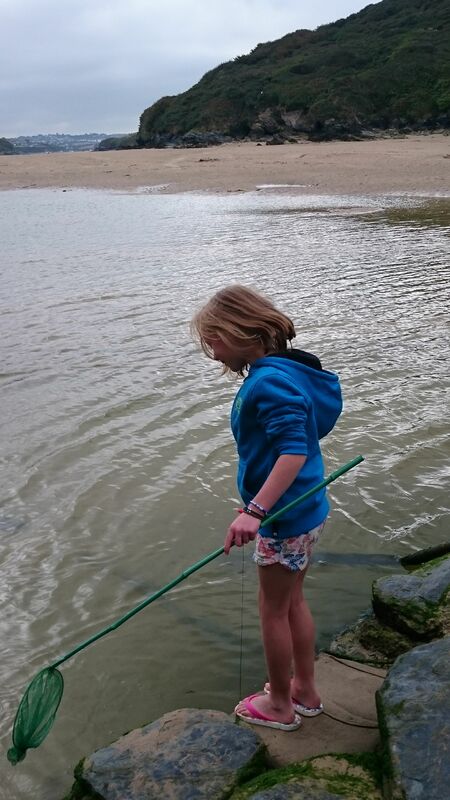 The wooden bridge is perfect for crabbing. A 4×4 meanders down the beach selling ice creams in the summer holidays and a small hut opens, selling teas and coffees on the beach. Come here once and I guarantee you will return. Top Tip: The car park gets full early in summer so head down as early as you can or walk. You don’t want to get stuck on the road down to the beach in a long queue of traffic. Where to eat nearby: Fern Pit Cafe, great for crab sandwiches (across the beach and up the steps), Cosy Nook Tea Garden (Crantock Village), Old Albion Inn (Crantock Village – also recommend for their folk music nights) or grab very good pasties from the Crantock village shop en route to the beach. If you are looking for some of the best coastal views in England, you’ve found them. A clifftop walk at Carnewas and Bedruthan leads you to the 120 steps down to the beach. This vast stretch of sand, peppered with massive rocks, is perfect for a (probably windswept) stroll and wildlife such as dolphins can sometimes be spotted here. This isn’t the place to bring your windbreaks and beach equipment – you’ll be lugging it back up those 120 steps. It’s a place to admire the beauty of Britain’s fantastic coastline. There’s no filter on this picture, those really are the colours of Bedruthan. Photo courtesy of my husband! Top Tip : Do not get cut off by the tide – be careful that you are back up the steps before it comes in. Where to eat nearby: Carnewas Tea Room is run by the National Trust and does fantastic cakes, hot chocolate and ploughman’s lunches. Eat inside or outside in the tea garden. This is also where you park. 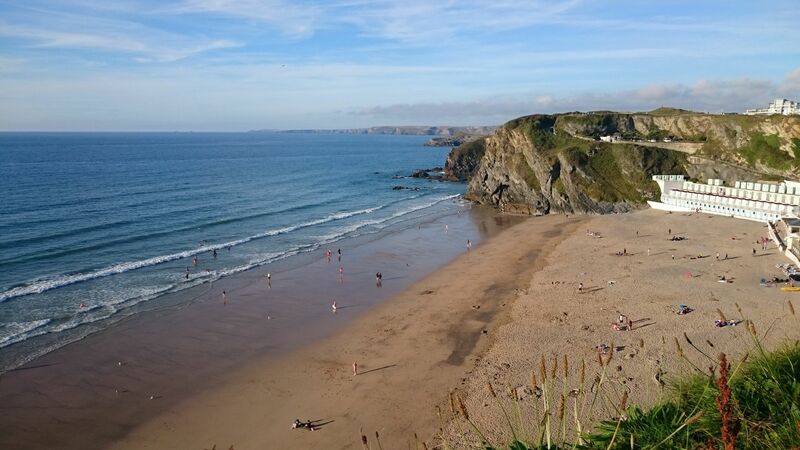 A fifteen minute drive from Newquay, Watergate Bay’s two miles of sandy beach make this a very popular spot for families and groups having a day at the beach and for surfers in search of the swell. Great beachside facilities including shops, restaurants, hotels and surf schools make this an easy beach day with plenty of amenities. My children have had great surf lessons here. Top Tip: As with all the Newquay Beaches, the car park here gets full very early in summer. Where to eat: Jamie Oliver’s Fifteen Cornwall has amazing views across the sands (pictured above) and great Italian food. The Beach Hut is a popular casual choice right on the beach, the Watergate Bay Hotel has a variety of restaurants and is a great place for a scone on the terrace with a seaward view. Lusty Glaze (what a great name!) was named beach of the year by The Times and Sunday Times and there’s stiff competition for that title in Cornwall alone! This is a private beach in Newquay. It’s smaller than the wide sweeping bays of some of the other beaches but it’s got a whole lot going on. Last time I was there, a wedding was taking place and the groom zipwired in over our heads to meet his bride. You don’t see that on a beach every day! This beach is privately owned and as well as a beachside wedding venue, restaurant, takeaway and surf school, it has an adventure centre where you can book the zipwiring as well as jet skis and banana boats. If you’re looking for a beach with a lot of action and great facilities, Lusty Glaze is a great option. Just remember when you’re packing your beach gear – you have to carry it down 133 steps! Check the website for the beachside concerts and live music nights, Lusty Glaze makes a great evening option too. Top Tip: Lusty Glaze gets very busy in summer so get there early. Park in any of the Newquay beach car parks. Where to eat: Lusty Glaze Beach Restaurant – it’s just a few steps away on the sand. Right in the centre of Newquay, this beach is popular with the surfing crowd. It is so easy to get to. It’s famous for its wide sweep of sand, spectacular surfing and its shops and cafes. Top Tip: The surf shops here are fun to browse. You can walk here in a couple of mins from the centre of Newquay, making it a convenient beach if you don’t have a car on holiday. Where to eat: I like the terrace at the Headland Hotel overlooking the beach and Rick Stein’s fish and chip shop (also does curries!). Right in the heart of Newquay, this is the ‘one with the white buildings’. A privately owned beach but open to the public, this beach has a range of accommodation right on the beach – wake up next to the sea! 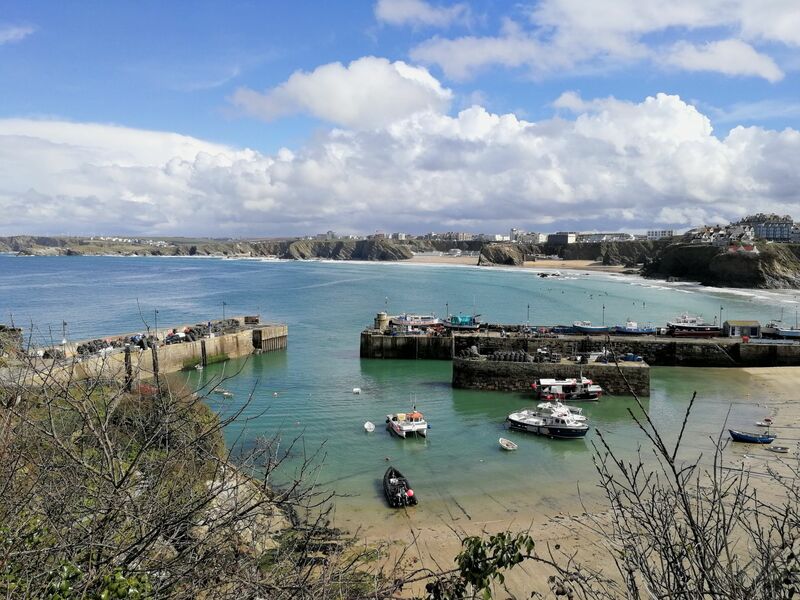 Easily accessible in the heart of Newquay, this sandy bay with awesome views is another great option if you don’t have a car with you. Where to eat: The beach village includes a restaurant which offers rum cocktails – pretend you’re in the Carribean! 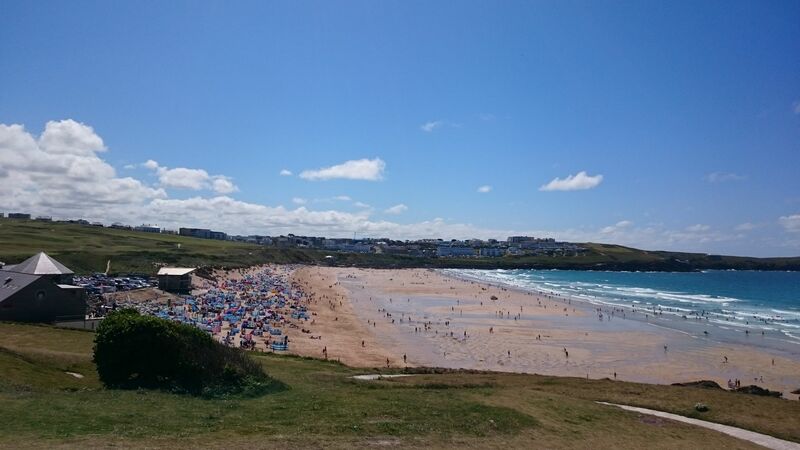 Alternatively bring a picnic or grab a pasty from Newquay’s many pasty bakeries on your way to the beach. Stunning golden sands, surf, clifftop walks and coastal views make this a favourite with families heading to the Newquay beach scene. 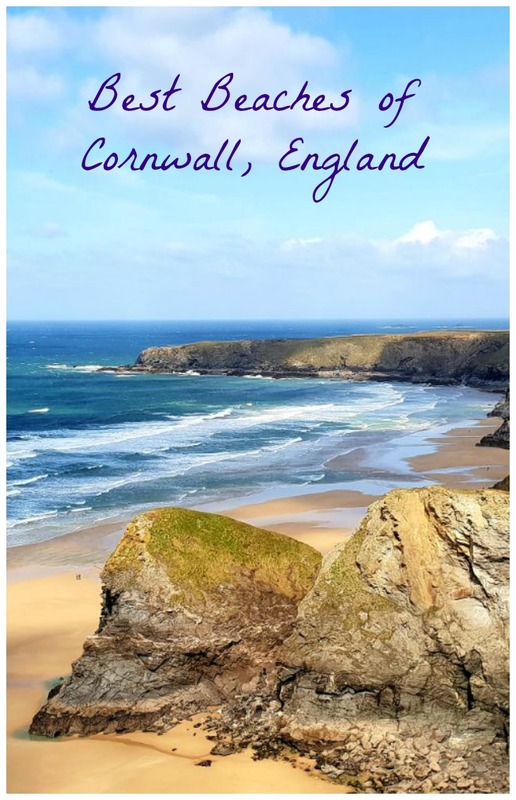 Top Tip: We stayed at The Park, Mawgan Porth – a luxury self-catering resort with lodges, yurts, cottages and caravans. Read my review here. Where to eat: There are a few pubs and restaurants across the road from the beach and a supermarket/deli where you can grab pasties or a picnic (and stone-baked pizzas in the evening). Many people tend to gravitate towards Padstow’s pretty harbour with its shops and restaurants. From here you can also take a boat to Rock and beyond. Padstow also has beaches and the beautiful Camel Estuary for watersports and splodging. 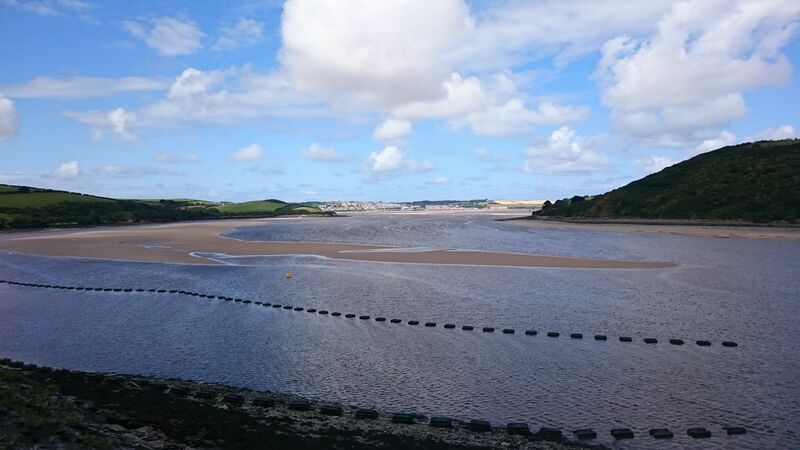 Top Tips: Hire bikes at Wadebridge and cycle along the Camel Estuary to Padstow. There is a large cycle park as you approach the town. Where to eat: Cherry Trees Cafe does amazing cakes, right on Padstow Harbour. Rojanos on the Square is one of Paul Ainsworth’s restaurants serving authentic and delicious Italian food. Last time we were there Chef Gordon Ramsay was on the next table so you know it must be good! Play frisbee – can you set a new family record? Sand sculptures -how elaborate are yours? Stomp rocket – have you tried this? It pulls a crowd! Whatever you do at the beach, the Newquay beaches have something for everyone. If you want wide sweeps of sand and cliff top walks – you’ve got it. If you want beachside concerts and adventure – you’ve got that too. Surfing, sand dunes, sea and sunshine – the perfect ingredients for a Cornish beach holiday. This post is in no way sponsored or endorsed by any of the organisations named. All words and photos are the author's. How lovely to see a post on my home turf! I’m only sorry you didn’t find time on your visit to pop in and say Hello! Padstow is the nearest of these to us and lots of the kids friends from school live round there. I’m with you Crantock is beautiful and can be quite sheltered, though I love the surf at Fistral. Now all we need is more summer days like today to enjoy the beautiful North Cornwall beaches this year. You are so lucky to live in such a fabulous place! I love Crantock. One of the first beaches we went to as a family. I loved it. So big. The caves were interesting too when the tide went out.